Click the button to pay. 1. Have achieved distinction in the field and have qualifications achieved by training and experience far exceeding those proposed as necessary for candidates to take the certifying examination of the organization. 2. Be initiators in their field. iii. be author of at least ten significant publications in peer-reviewed journals resulting from the research or practice in the specialty. 4. Be uncontroversial to the majority of the membership. 5. Spend at least 60 per cent of their time practicing the speciality, based on a normal working week of 40 hours, for the last at least 10 years. 6. Be practicing in Europe. 7. Practice scientific, evidence-based veterinary medicine, which complies with animal welfare legislation. 8. Display the willingness to contribute to the growth of the College (e.g. by training residents). 9. Apply high level knowledge and skills at the forefront of his/her specialist area of Aquatic Animal Health to their own professional work. 10. Perform at a high level of competency through teaching, research and practice in their speciality area. 11. Promote aptitude and proficiency in the field of Aquatic Animal Health. 12. Demonstrate the ability to communicate their ideas and conclusions clearly and effectively to specialist and non-specialist clients and audiences. Evaluation of those becoming Diplomates of a College, as well as re-certification of all Diplomates, is an undoubtedly important part of maintaining EBVS Colleges’ high standards. For quality assurance purposes, reference letters are a necessary part of the evaluation/re-certification process in order to have third parties attest to a Diplomate’s good standing within the profession, and his or her continued activity in the speciality. Diplomates of non-EBVS recognised Colleges (“Diplomates by equivalent exam”). 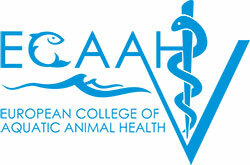 Veterinarians internationally recognised in the field of a College, when applying to sit the College’s examination without prior completion of a Residency programme. This form below should be completed and returned by email to the EBVS Secretariat (for Founding diplomates; info@ebvs.eu) or to the College (for other categories; email College Secretary).